My sister-in-law, Ashley, is quite the fashionista. 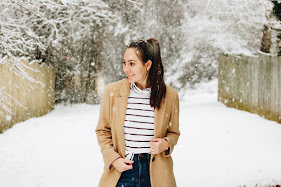 She has some great style posts on her blog. Recently, she was kind enough to share an outfit with a scarf I made last year. 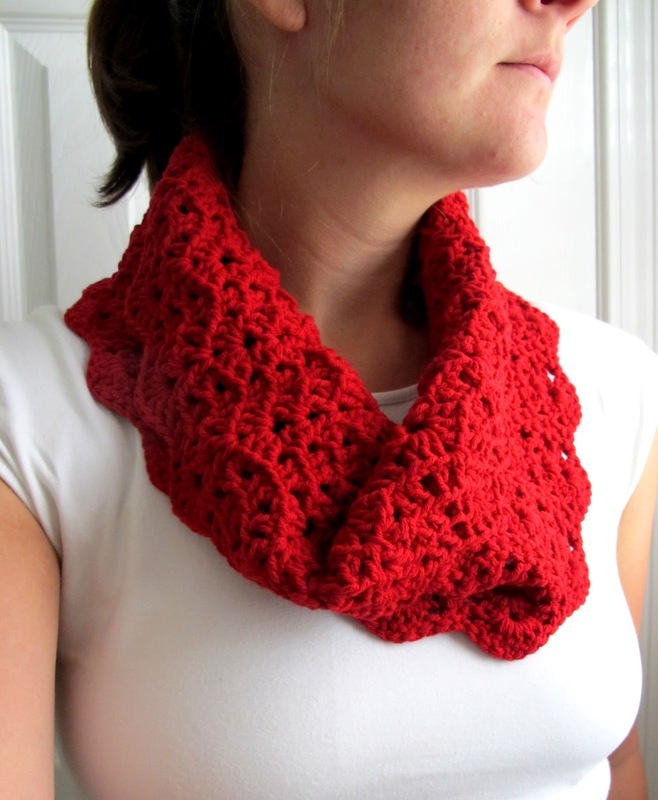 I thought this would be the perfect time to re-list the scarf in my shop. 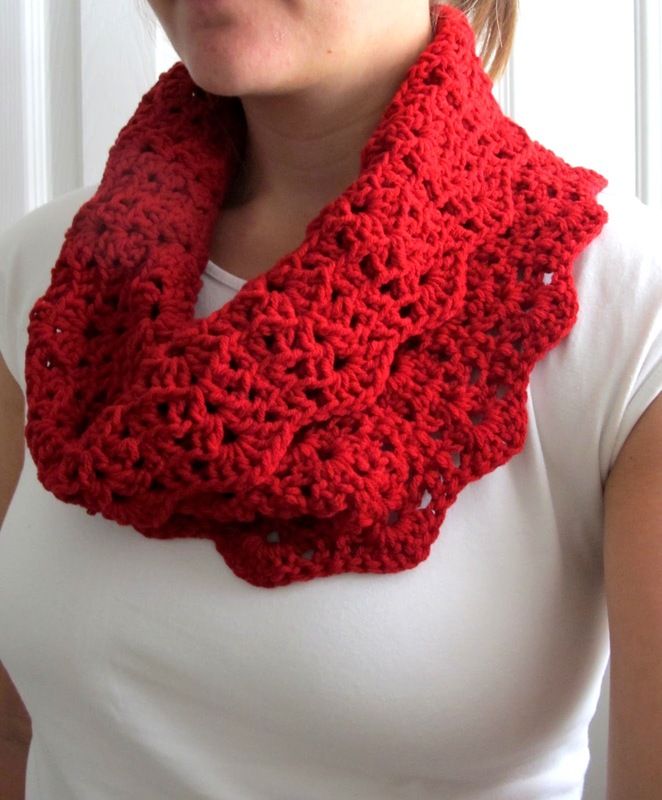 It's called the Scallops and Lace Infinity Cowl. 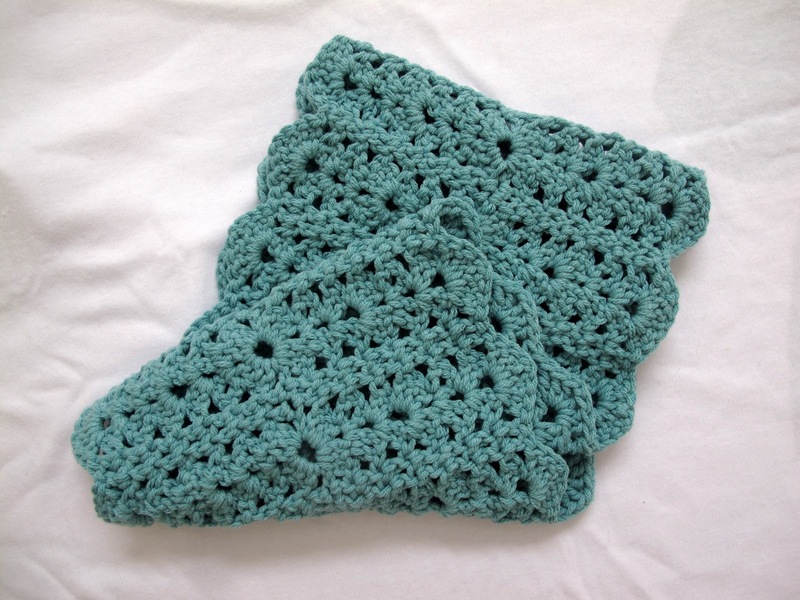 This infinity cowl scarf is made with soft yarn and a lacy pattern with scalloped edges. I can do a variety of colors, just let me know what you are in the mood for! This scarf will give your outfit the perfect punch of color that it needs! 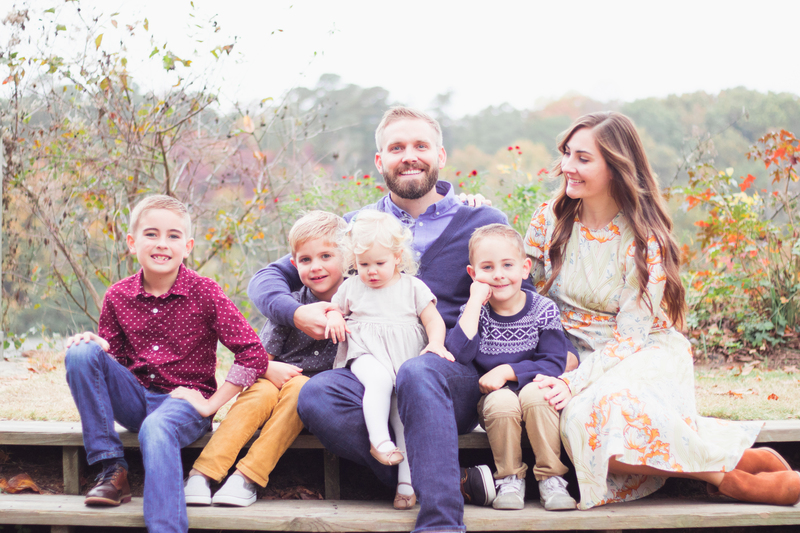 And because, who doesn't love a good coupon code? Visit me at Curtsay Designs today and receive FREE SHIPPING on any purchase! Just use coupon code: FreeShip at checkout.